I will admit that it took me a bit to get into Google+. I signed up right away, but rarely posted and I still rarely post, but I do get a ton of information from others on the site. I find it easier to maneuver than Facebook and find less clutter. Facebook is still my “go to” for 98% of my social time, but I am seeing something more important for Google+ when it comes to business social marketing. Nearly all of the clients we work with here at Mid-West Digital Marketing are on Google+. If you want to get found, you need to play the game. It’s simple. But while gaining followers for some clients has been tricky, I have found a huge boost in interaction via Communities. If you aren’t using them now for your business, you should. 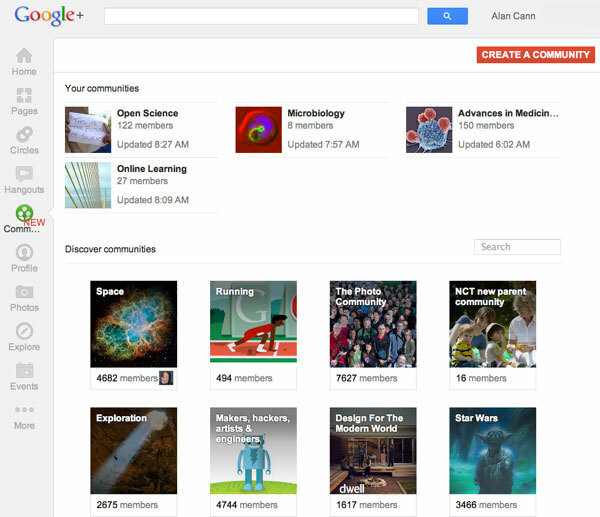 All of what you post is discoverable through a search on Google and Google+. When you share publicly, not just with your “Circles”, Google indexes it. Anyone searching for a keyword that you used could stumble upon your post, check out your link to your site, consider your services or products, and become a qualified lead. You should re-read that last paragraph a bit more closely. Communities boost your profile even more from both a B2B and B2C standpoint. Not only are you sharing ideas with other “like-minded” businesses, you are sharing with potential customers who joined the group to see what’s happening in that area. The best example is the construction/remodeling industry. These businesses post ideas on remodeling with photos of work and a potential lead sees that, ventures to your website and might use your services. And, because you “hashtagged” the post correctly (right…you did use a hashtag? ); it gets found by the people you WANT to find you. Facebook is in the process of changing its search function with a tool called Graph Search. Their search will become similar to Google, but doesn’t yet act the same way we are all used to searching. So, while taking the time to market yourself on Facebook remains very important, if you aren’t using Google+ and joining Communities, you are missing out on possible sales.